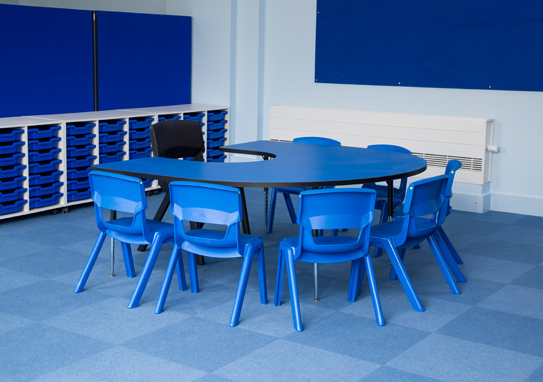 zioxi worked alongside Kier London and KI Europe to deliver the complete FF&E package for new build The Orion Primary School, based in Graham Park, Northwest London. 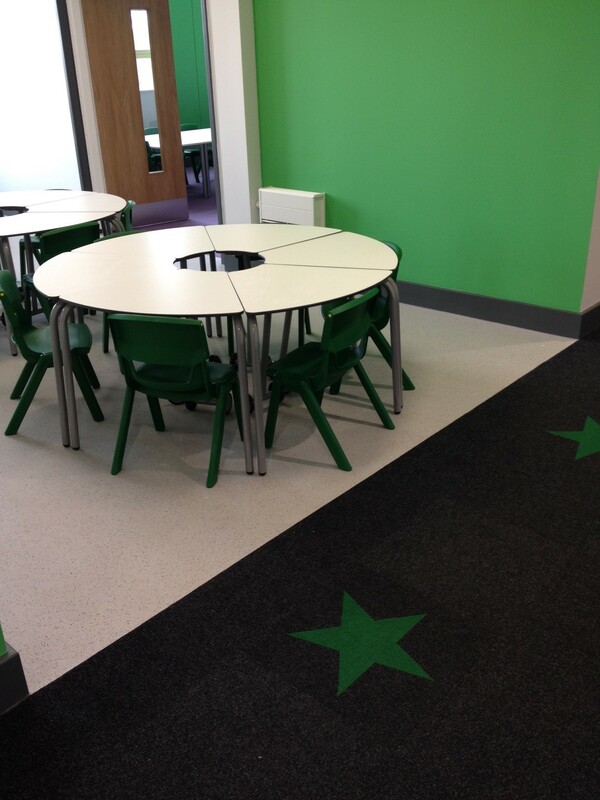 The building was designed to be a multifunctional, fun and engaging learning environment for the near 1,000 pupils at the school, as well as for the local community who would be using the facilities outside of the school day. 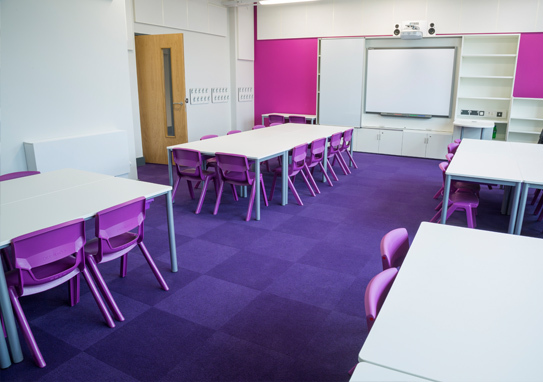 Throughout the school a vibrant colour scheme was introduced from Nursery through to Year 6, with each year group being defined by a different colour. 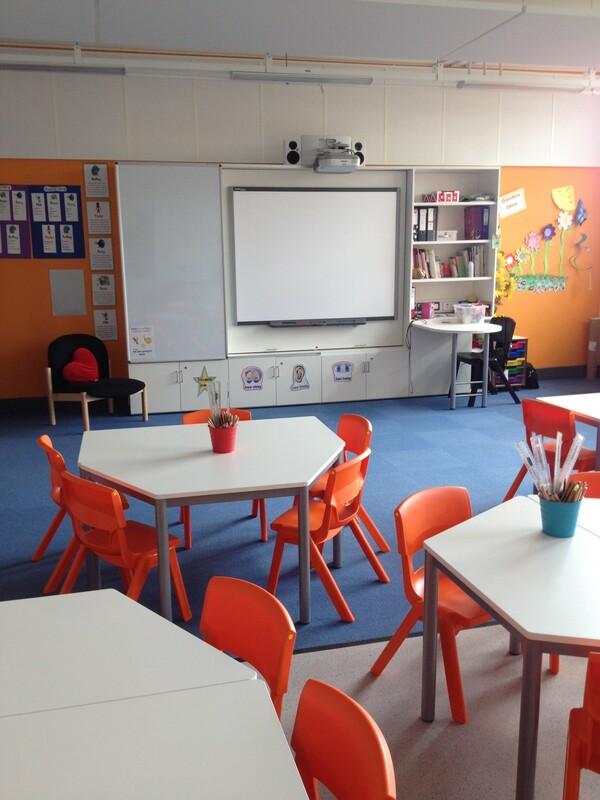 This theme was picked up by a feature wall in each classroom and the introduction of KI’s colourful Postura+ chairs throughout the teaching areas. 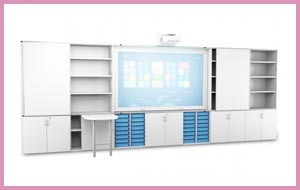 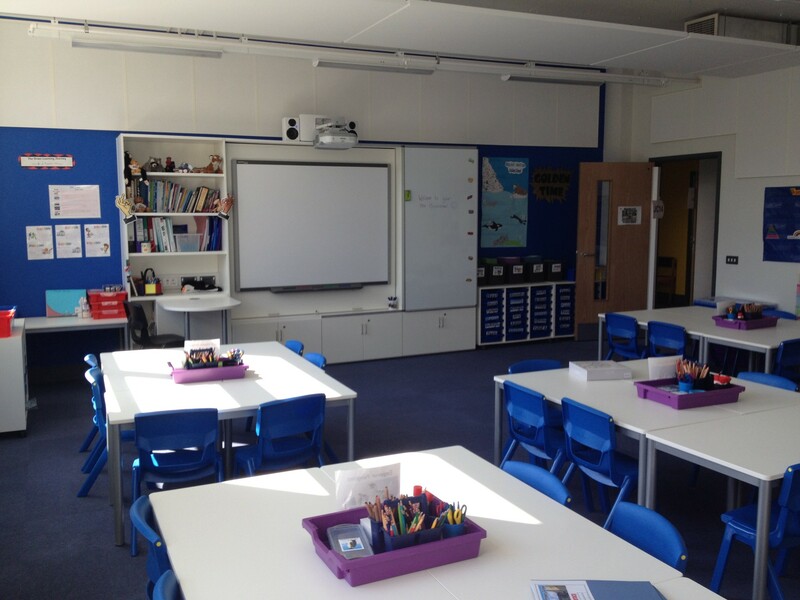 Each classroom featured a TeacherWall which allowed all of the classroom resources to be located in one area at the front of the space. 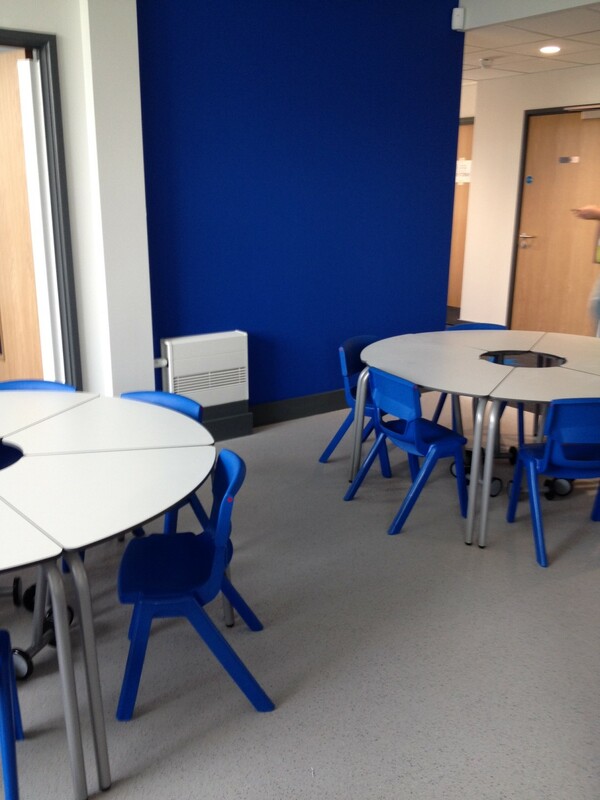 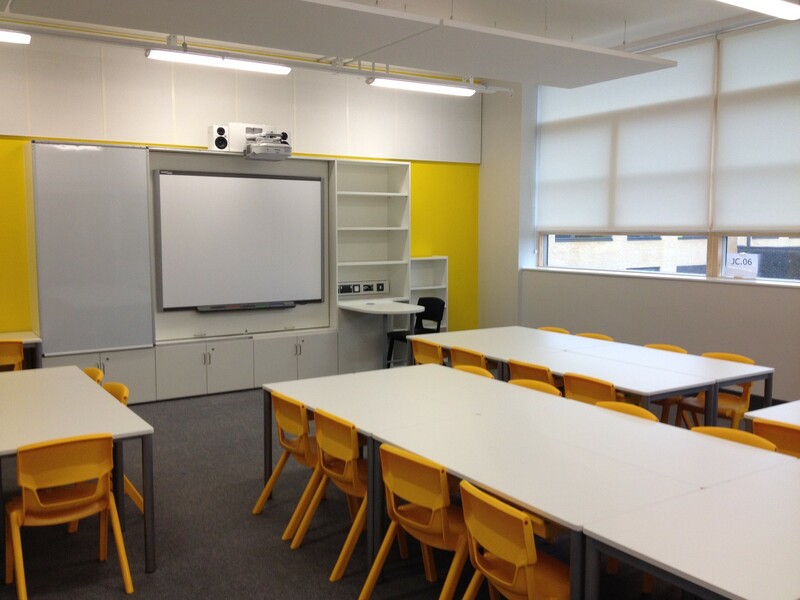 t41 desks were introduced into the breakout areas between classrooms to enable these areas to be easily reconfigured depending on the activity taking place.